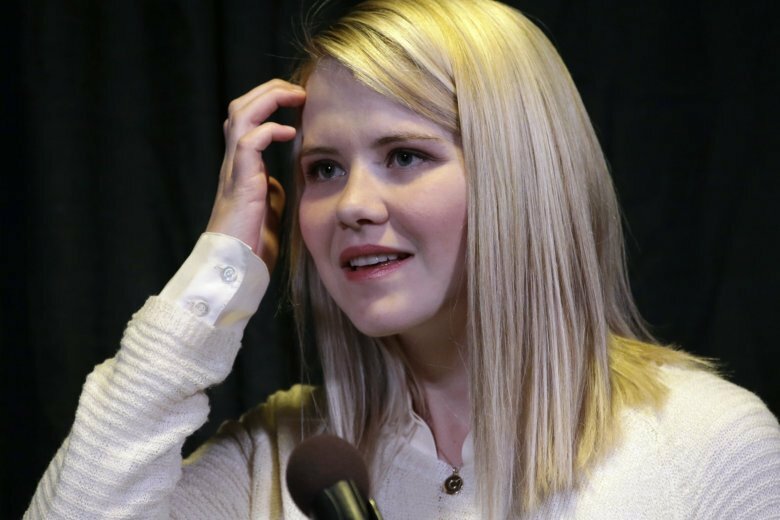 SALT LAKE CITY (AP) — Elizabeth Smart said Thursday the news that one of her kidnappers will be released from prison next week was “a big shock,” and she hopes there is a way the woman can be committed to a treatment facility since there is no legal recourse to keep her behind bars. Wanda Barzee is expected to be freed next week after 15 years in custody, following a surprise announcement that Utah authorities had miscalculated the amount of time the 72-year-old woman should serve. Barzee is expected to be freed next Wednesday. Attorney Scott Williams has said Barzee has been diagnosed with several mental illnesses, but he’s not concerned about her being a danger to the community. Williams did not immediately return a message seeking comment Thursday. The Utah Board of Pardons and Parole set a January 2024 release date in June, but her attorney questioned whether that included time she’d served in a federal prison. On Tuesday, the board decided that she had served her sentence. Her father Ed Smart also questioned why authorities didn’t give her more warning about the impending release. “I do believe in forgiveness. I am Christian,” she said. She also urged authorities to reconsider the process for release decisions to put greater weight on potential threat as well as time served. If she violates the conditions of her release, which will include mental health treatment and an order not to contact Smart’s family, she could go back to prison, said Smart’s attorney Brett Tolman. Tolman was previously the U.S. Attorney for Utah who prosecuted Mitchell, and is now in private practice. Barzee’s family could also request a possible civil commitment to a mental-health facility, if that’s warranted, he said. This story has been corrected to say Barzee is 72, not 64.